Maryland Attorney General Brian Frosh asked a federal court in Maryland Tuesday to declare Matthew Whitaker’s appointment as acting Attorney General unlawful. Frosh says Whitaker’s appointment violates a federal statute and the Constitution. “Rod Rosenstein, not Mr. Whitaker, is the acting Attorney General as a matter of law, with the attendant responsibility to enforce federal law and oversee this litigation in particular,” the motion reads. President Donald Trump named Whitaker interim head of the Department of Justice after dismissing former Attorney General Jeff Sessions on Nov. 7. In a tweet that same day, Trump said he would nominate a permanent successor to Sessions. Whitaker is not thought to be in contention for the appointment, though he is well liked inside the White House. Maryland contends that Deputy Attorney General Rosenstein, not Whitaker, is actually the acting attorney general. 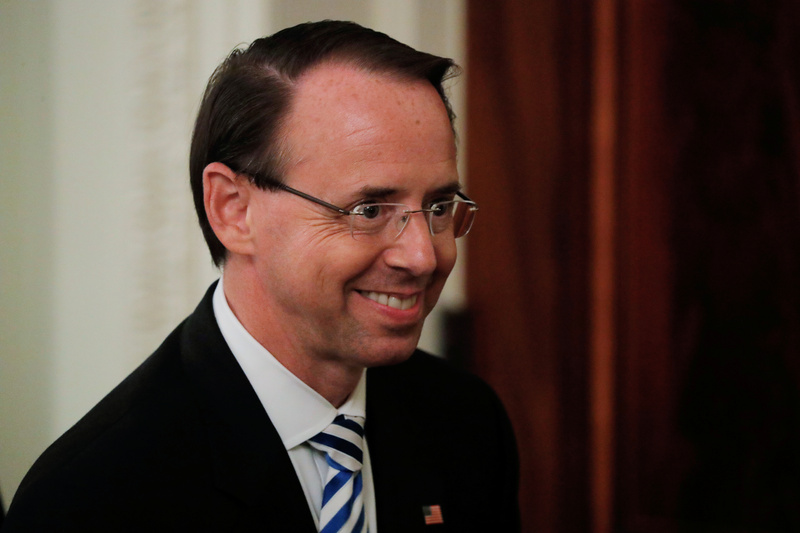 The state argues that a federal law called the Attorney General Succession Act provides that the attorney general’s first assistant — in this case Rosenstein — shall act as the attorney general in the event the office is vacant. The law establishes a further succession, establishing that the solicitor general and various assistant attorneys general may act as the attorney general if superior offices are empty. “Few positions are more critical than that of U.S. Attorney General, an office that wields enormous enforcement power and authority over the lives of all Americans,” Frosh said in a statement attending the lawsuit. The Trump administration said Whitaker’s appointment was made pursuant to the Federal Vacancies Reform Act (FVRA), a 1998 law that gives the president power to name senior government employees — even those not confirmed by the Senate — to executive offices on a temporary basis. The statute purports to be “the exclusive means for temporarily authorizing an acting official” to perform official duties. Maryland replied that the Attorney General Succession Act displaces the FVRA, like a handful of other federal laws that specifically establish succession for sensitive posts like the secretary of defense and the director of national intelligence. The state submitted the motion in connection with its ongoing litigation against the Trump administration over the Affordable Care Act.